What are you on track to achieve by end of year? What needs to change for you to crush your targets? October sets the tone for Q4. 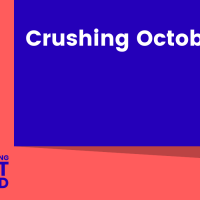 Crush October… and you’ll crush Q4. What OBJECTIVES do I need to meet? What ACTIVITIES do I need to execute?